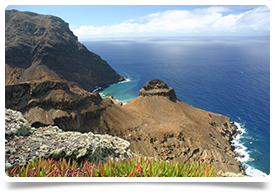 An incredible opportunity is available for an experienced Anaesthetist to work on the outstandingly beautiful island of St Helena, located in the South Atlantic ocean. This post is for a twelve month fixed period, with an annual salary of £85,000 plus generous benefits and is to start from June 2018. Return travel costs will be covered and it is possible to take family for the duration of the contract. On-call 24/7 for anaesthetics and intensive care patients, you will be responsible for all IC patients on the island; normally one or two theatre day a week. Responsible for preoperative preparation of surgical patients, implementing resuscitation procedures and for stabilization and the care of critically ill patients, you will participate in the general practice clinics and share out-patient and in-patient duties. As a member of the general on-call rota you will provide emergency out-of-hours care with back-support from other medical professionals (surgery, cardiology, internal medicine, obstetrics and gynaecology). Usually this means being on-call for general medicine every 4th to 8th day or depending on the number of Doctors available. You will deal with adult and paediatric patients alike which would include general anaesthesia (LMA or intubation), neuraxial blocks and axillary plexus blocks. Neonatal cases may also arise. Assisting the SMO in collection of health information data as required you will also participate in and contribute to the clinical governance committee. Managing Acute teams, you will offer pain relief in labour and obstetric anaesthesia, post-operative pain, acute pain medicine and chronic and cancer pain management. You will provide sedation and anaesthesia for patients undergoing various procedures including endoscopic procedures, interventional radiology and dental surgery. Responsibilities will also cover the transport of acutely ill and injured patients. Current Medical Registration is required (please note on your application which country you currently hold medical registration in). Ideally you will be experienced at Consultant level, but a skilled Senior Registrar may also be considered. Please get in touch as soon as possible to discuss the full job details.